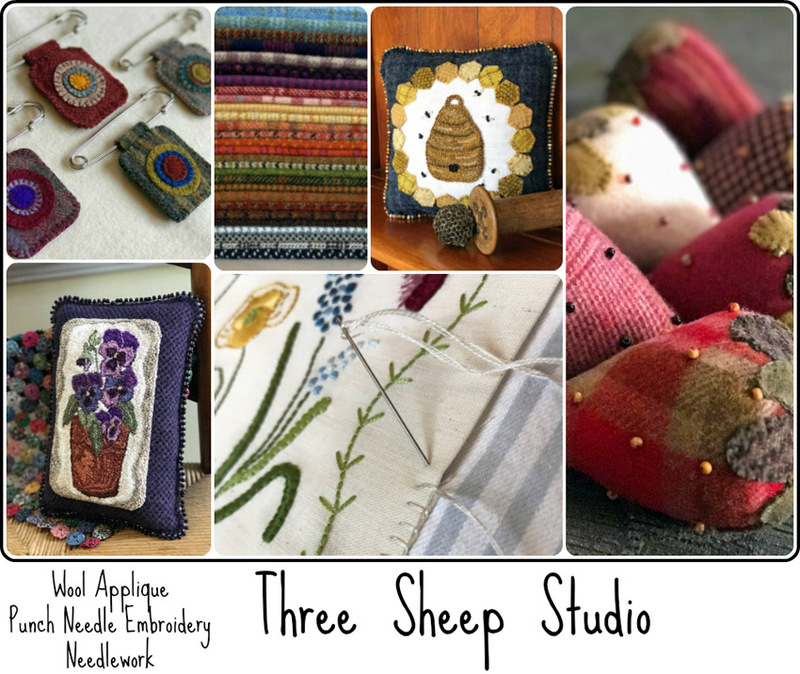 I keep a small square of wool in my work basket. a little time...just a little, but worth it. if I had time to give this large cross stitch piece. one motif at a time. 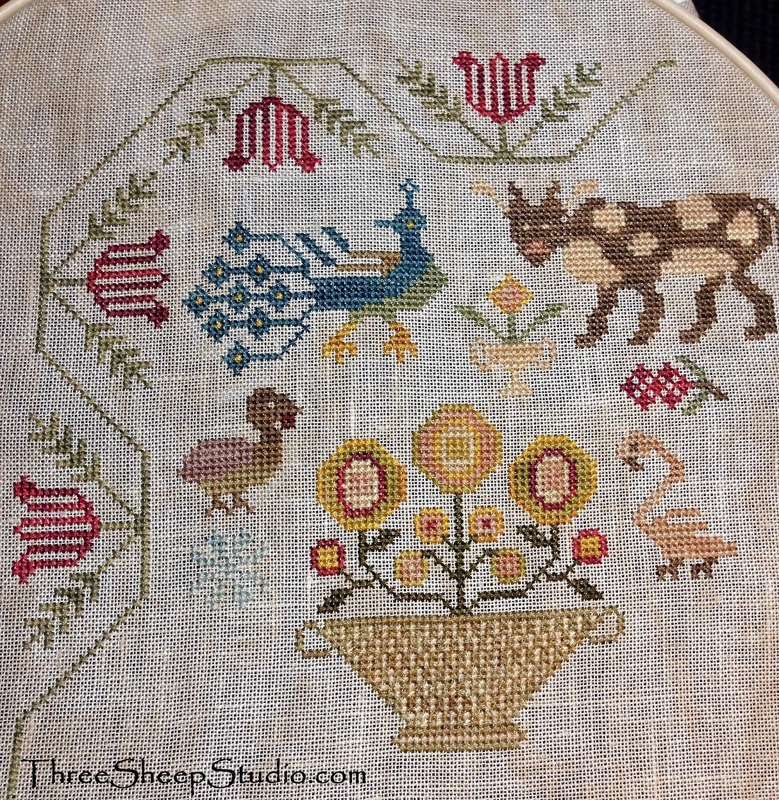 Design is from Beth Twist from Heartstring Samplery. 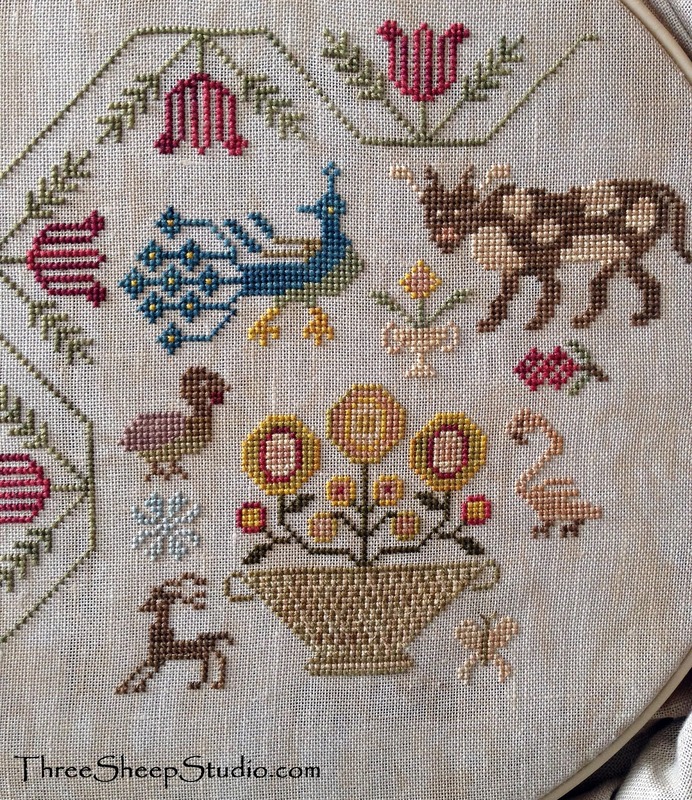 beautiful Counted Cross Stitch piece. It's a rainy cooler day, here in Pennsylvania. A good day for putting needle to cloth. 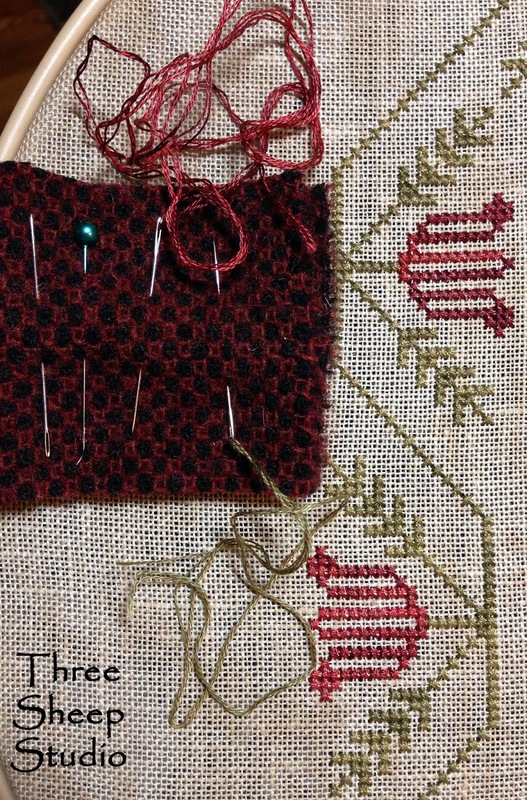 I have followed your progress and am just amazed at how lovely this piece is, as well as how beautifully you are stitching it!! One of these days I will again try my hand at cross stitch! It has been years and I have my hands full with so many other projects, but this peace speaks to me! One of these days.....! Thanks for sharing your progress! So inspiring!! 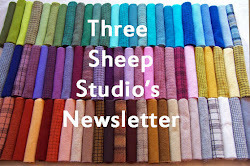 Its lovely Rose, I am going to use that piece of wool idea, it is just brilliant!! I keep two needles threaded but I just stick them in my pin cushion so I am always searching for it. I like that. It is good we are doing this together, all of these ideas spur us on. I really do think your colors seem brighter. Thank for sharing. You are moving right along. I know it's a biggie! Hope you can keep up the pace. Simply mah-velous! One motif at a time looks to be adding up pretty quickly! I do like your tip about having more than one color threaded and ready to go. Oftentimes I get bored with a piece after using one color for so long (i was stitching one color at a time)... one motif sounds a lot more fun and interesting! 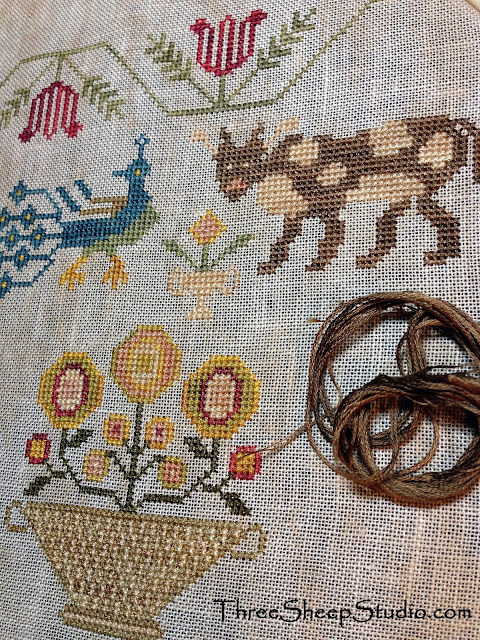 I know this is a huge sampler and you have made so much progress. Going to be a treasured heirloom. Such a beautiful piece you are working on. I love the colors used. I keep 2 other punch needles threaded when I'm working on something so that I can keep the flow going. I am also stitching this piece, one motif at a time. Had to put aside for a few weeks as I was doing a piece for an exchange but will be back at it tonight. 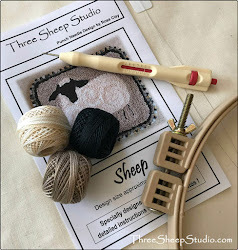 I like your idea of the needles and thread, I will have to try it, every little bit of time helps!! Your new start looks wonderful and I'm smiling to know you are cross stitching...miss you my friend and wish for a day for us to see eachother and do lunch!